Employee-owned Douglas Machine, Inc. is a manufacturer of custom, semi-custom and standard integrated packaging equipment. Founded in 1964, the growing Alexandria, Minnesota company has 575 employees serving customers around the world. A few years back, Douglas Machine found itself at a crossroads. Its aging phone system was due for a technology refresh – something the company does periodically with all its systems to assure it remains a market leader in its industry – while business needs demanded new capabilities that hadn’t even been dreamed of when the old phone system was installed. Among other capabilities Meyers says the company wanted to incorporate caller ID, the ability to track placed and missed calls and (eventually) unified communications. After further investigation, however, Douglas Machine realized a move to VoIP would entail more than installing one phone system and turning off the other. 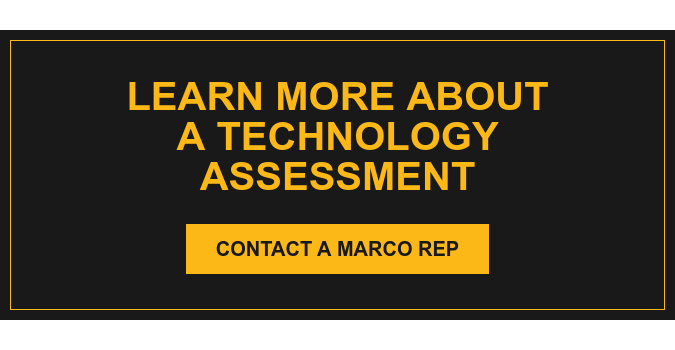 After reviewing several options for technologies and vendors, Douglas Machine selected Marco. The two companies share a history together through Marco's work in other areas for Douglas Machine. Marco proposed a solution incorporating Cisco Small Business Voice System, Unified Communications Manager, Unified Messaging, Unified Presence and Unified Contact Center Express. The existing network gear was replaced with Cisco PoE, and the wireless network was upgraded as well. On the user side, Douglas Machine deployed roughly 450 new Cisco phones, of which 25 percent were new Wi-Fi models. User adoption of the new phone system went quickly and smoothly thanks to good planning on the part of Marco and Douglas Machine. "We had a two-week training period prior to the go-live date," says Meyers. "During that time our employees had two phones on their desk. They used the new Cisco phones for internal calls with four digit dialing, while continuing to use the old phones for outside calls. By the time we did the cutover everyone was comfortable with the new phones to the point where there weren't any real major issues or concerns." Douglas Machine's employees have since embraced the new phone system. Among the favorite capabilities is call history – being able to see missed, received and placed calls just as they have become accustomed to on their mobile phones. Having a "do not disturb" button as well as the ability to place a call on hold to take a second call are also much appreciated. Traveling employees are finding the soft phone very useful. "Before when someone was working off-site callers would have to leave voicemail messages," Meyers says. "When you do as much custom work as we do, that's very inefficient. With the soft phone, users can login through our virtual private network (VPN), then place and answer calls through their PCs, as though they were in the office. It's helped us become even more responsive and efficient while significantly reducing our long distance phone costs." Future plans call for Douglas Machine to implement full Cisco Unified Communications. They also intend to implement teleconferencing, which Meyers says is another reason the company went with Cisco. When it happens, Marco will be right there with them. "Marco has the VoIP expertise to meet and exceed expectations," Meyers says. "We are happy with the solution we chose and Marco's performance. This is one of the biggest technology projects we've had in the last five or six years, and it was the smoothest implementation we've had. That says a lot about their capabilities.